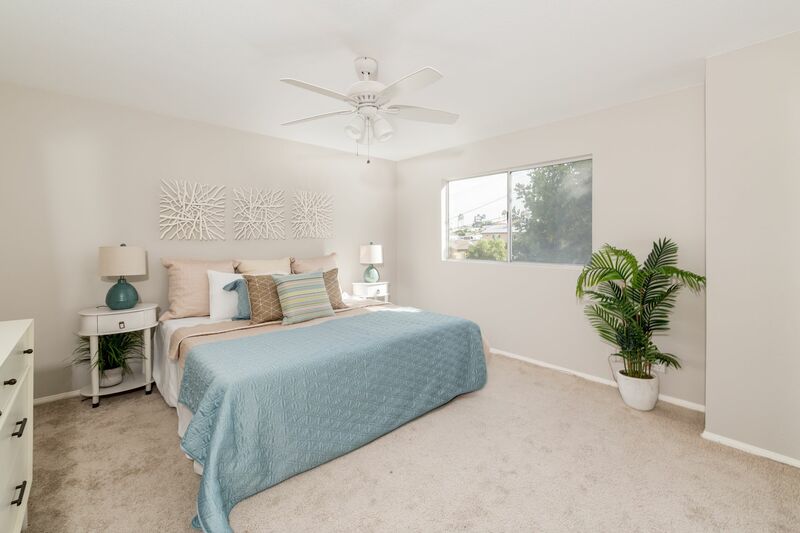 This is one of those properties you won’t want to miss! 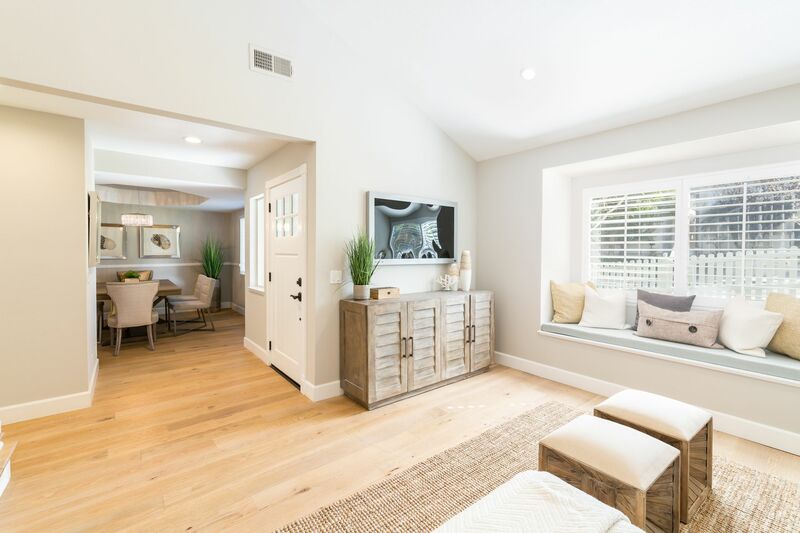 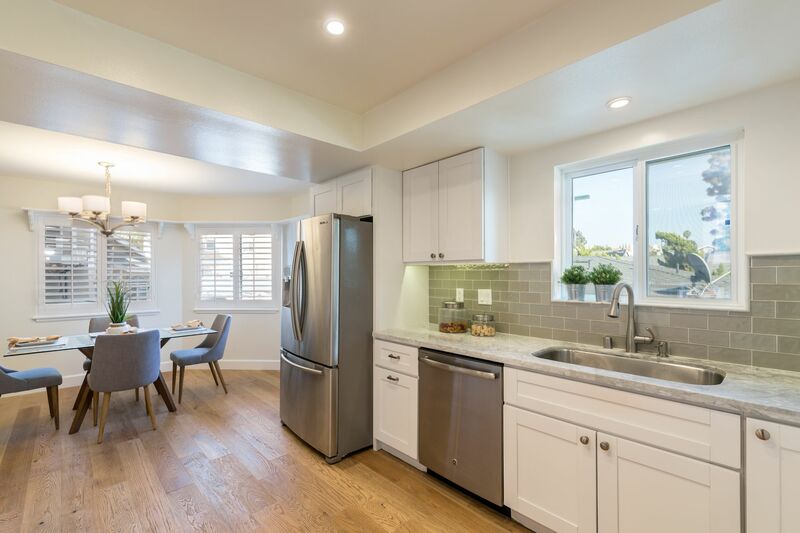 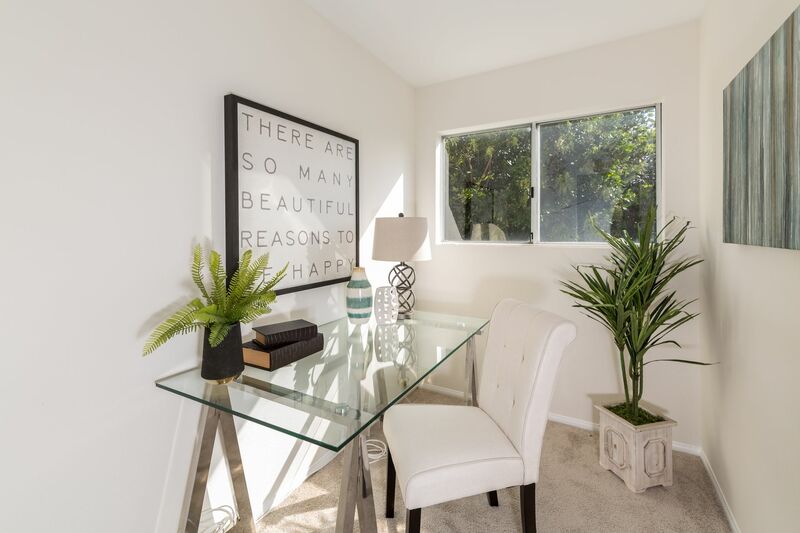 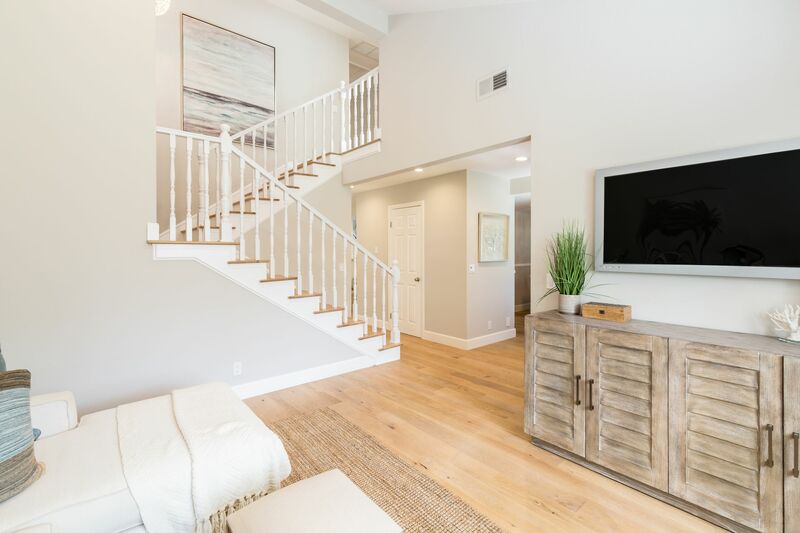 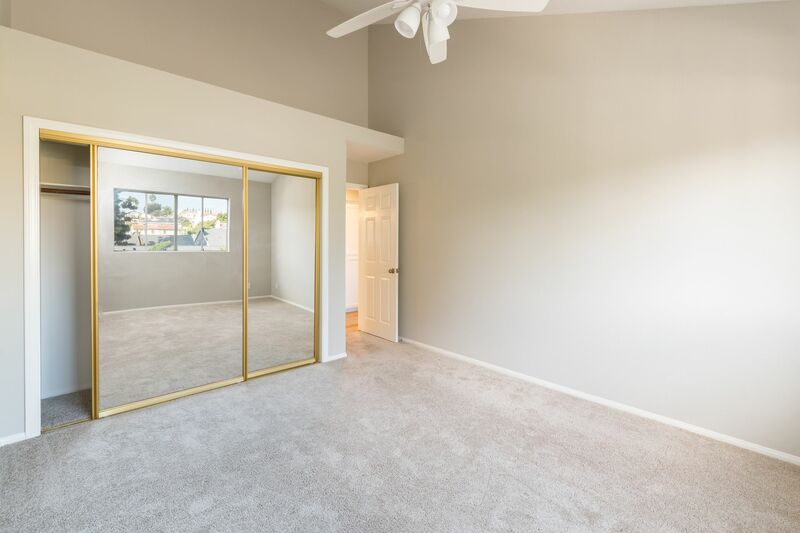 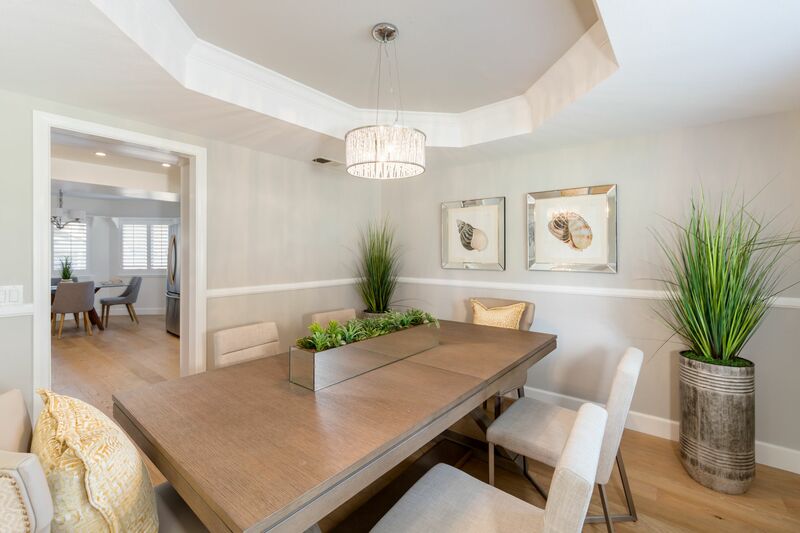 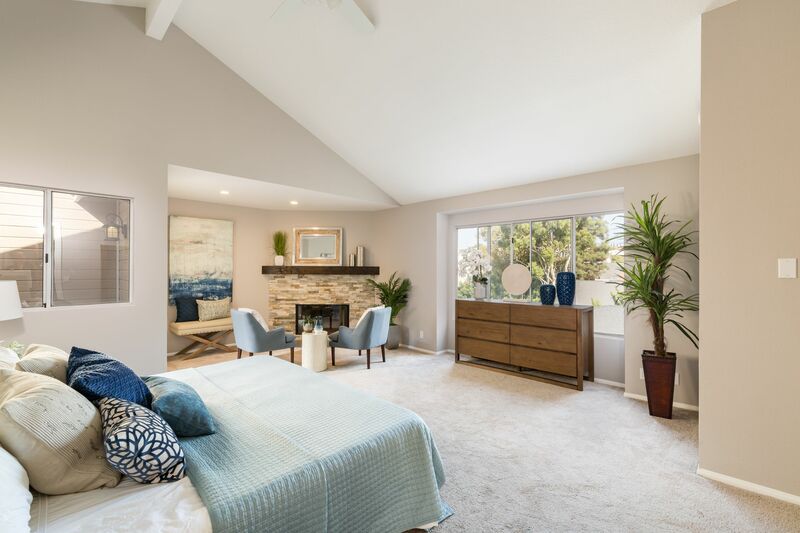 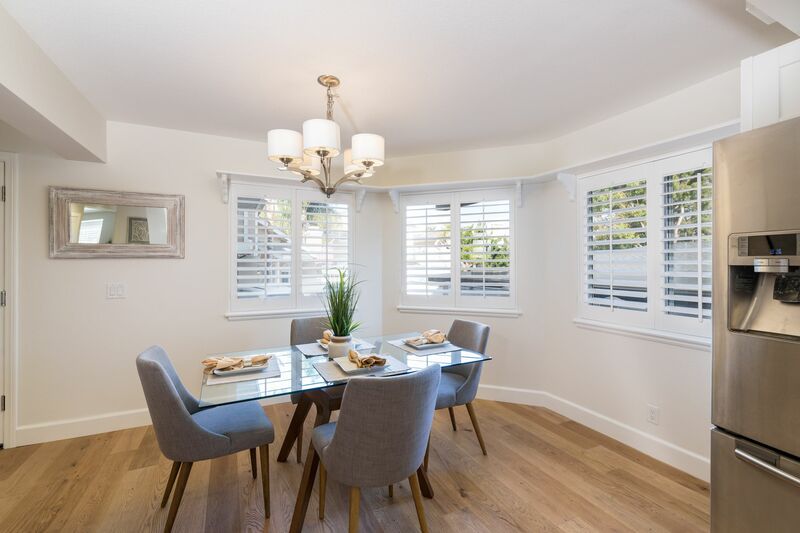 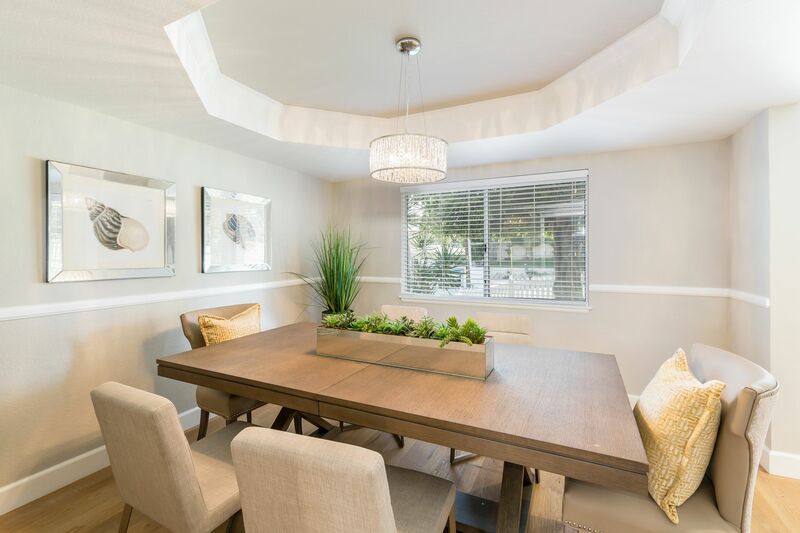 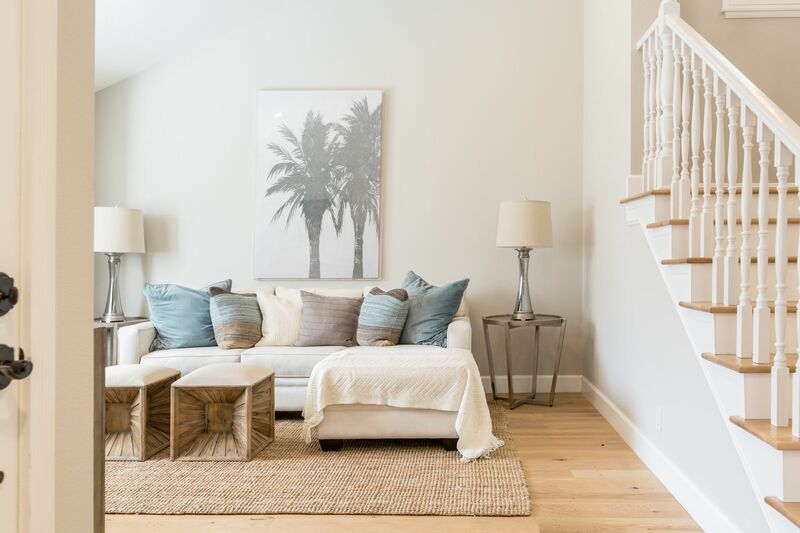 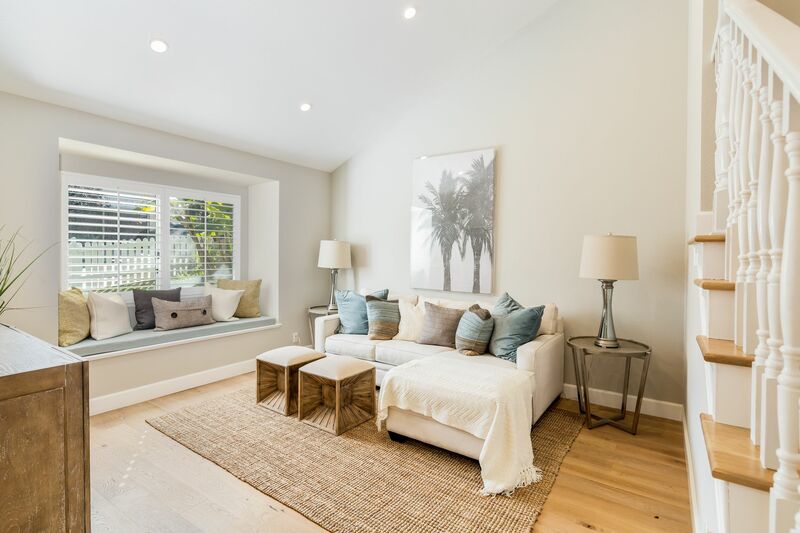 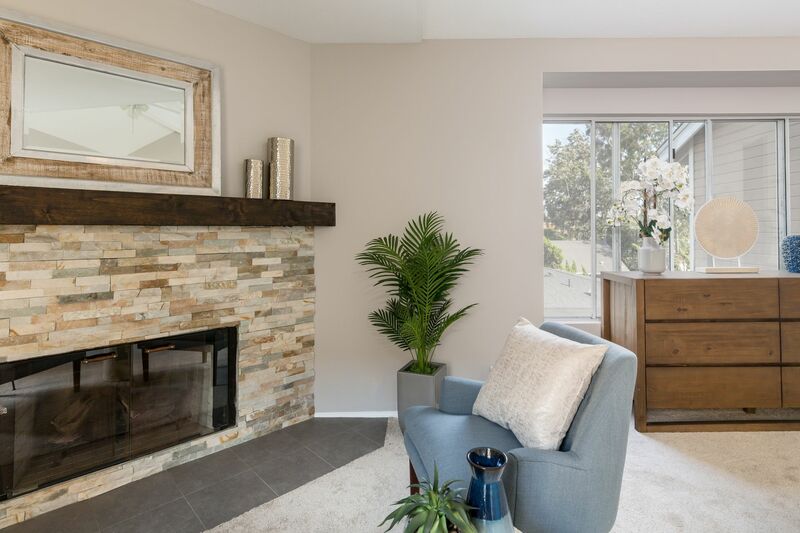 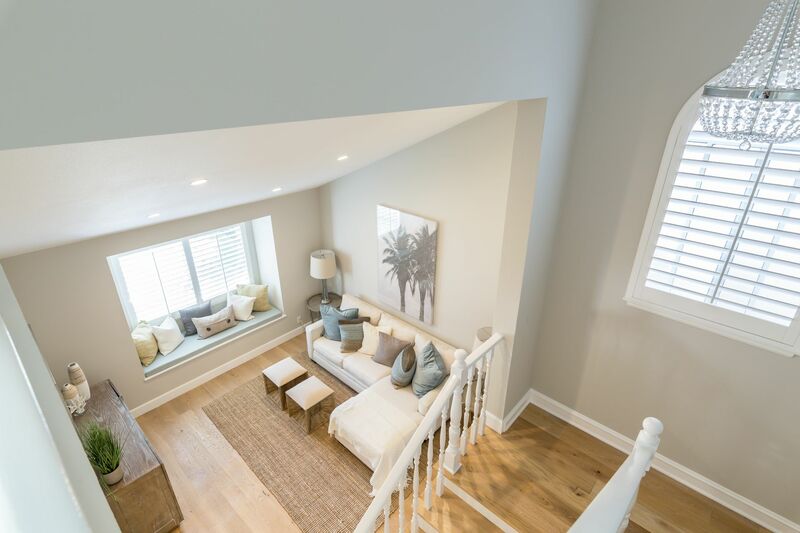 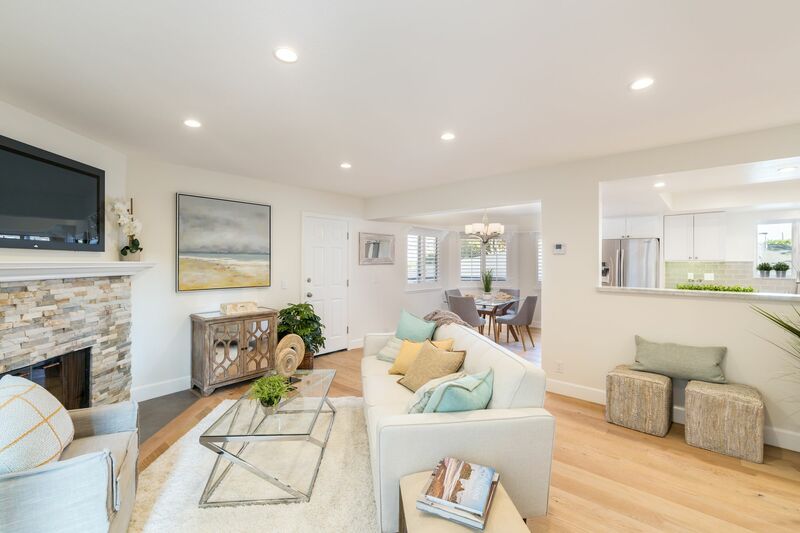 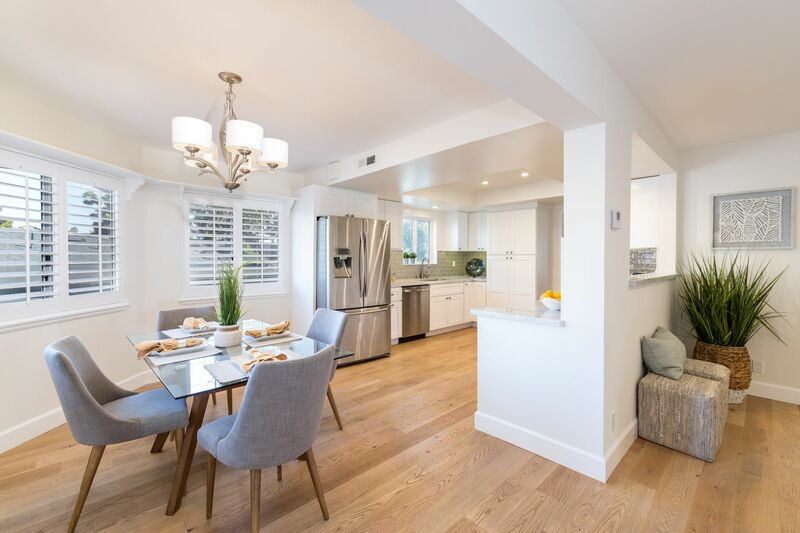 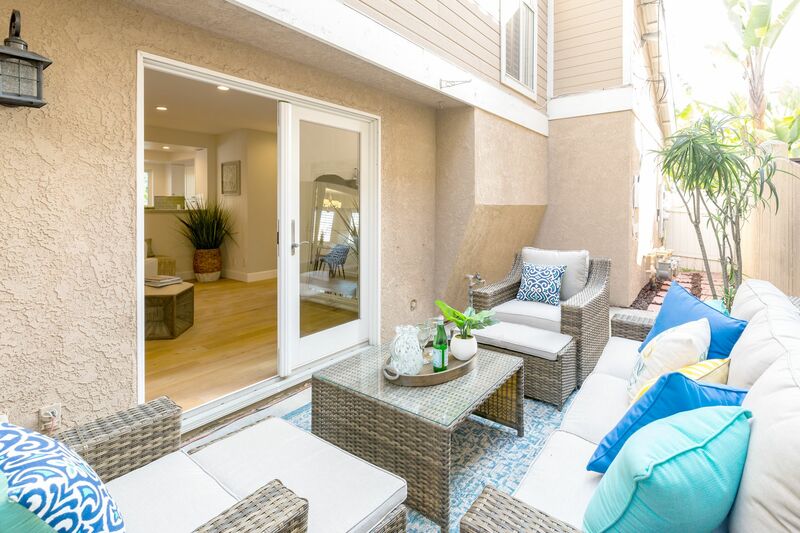 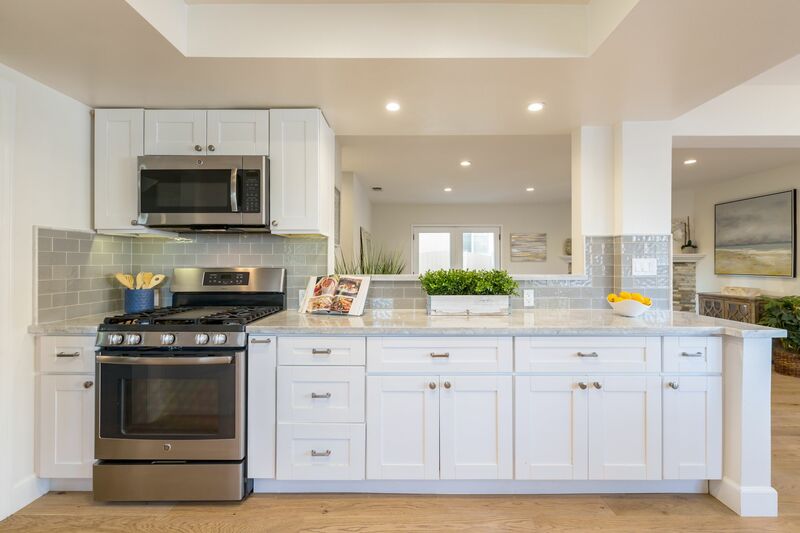 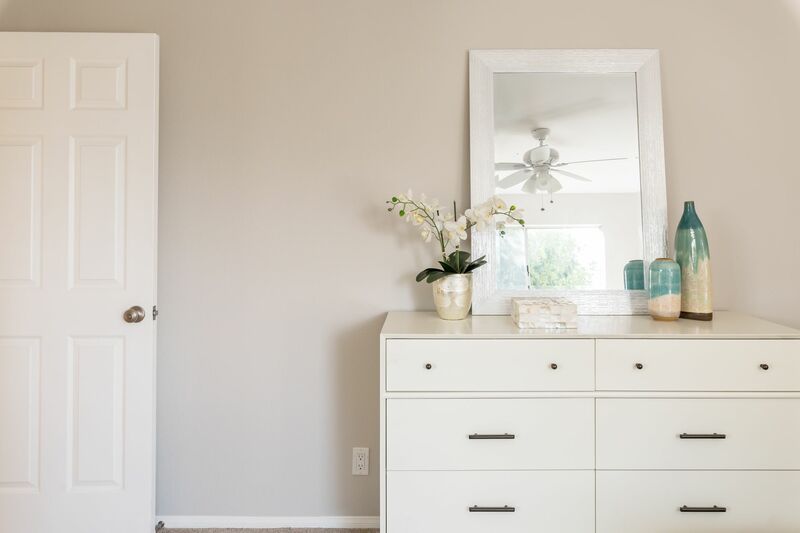 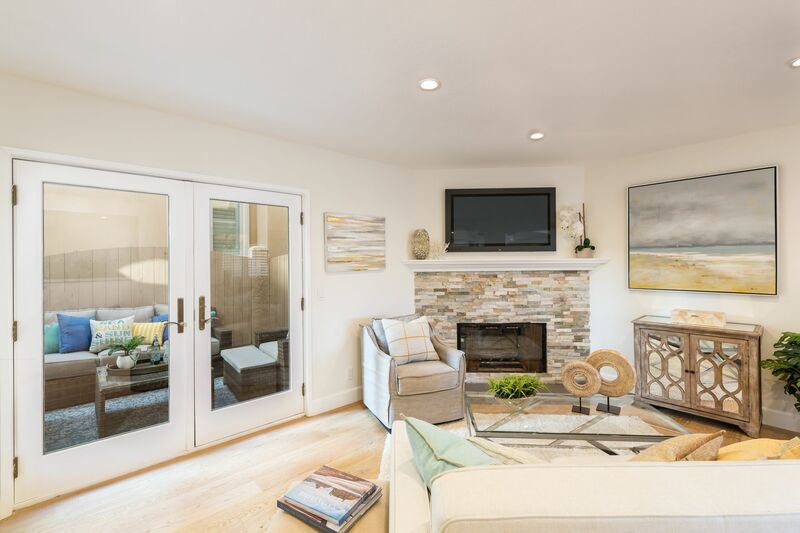 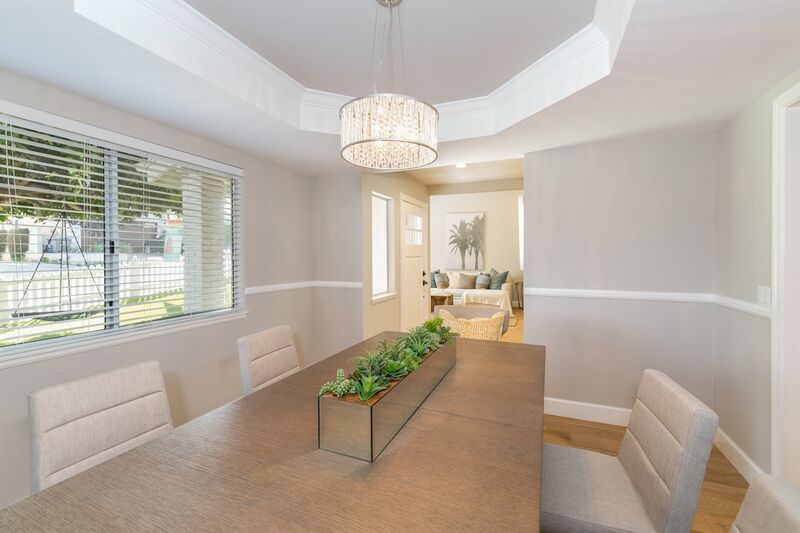 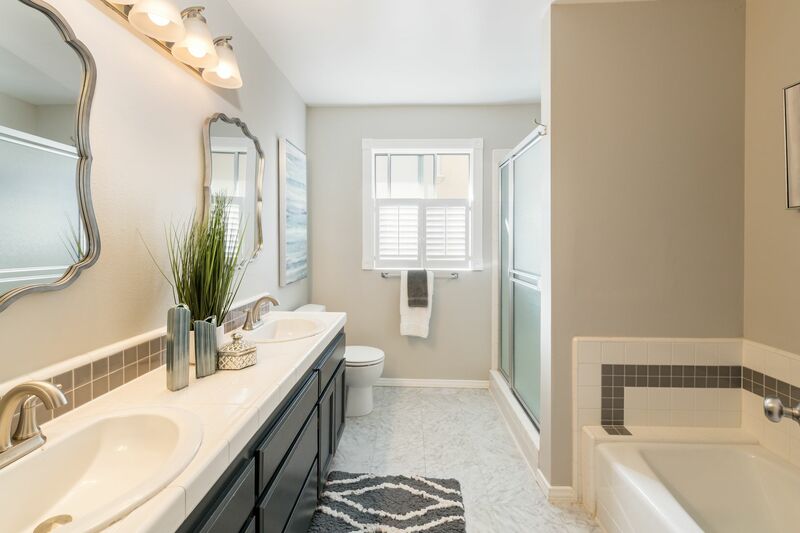 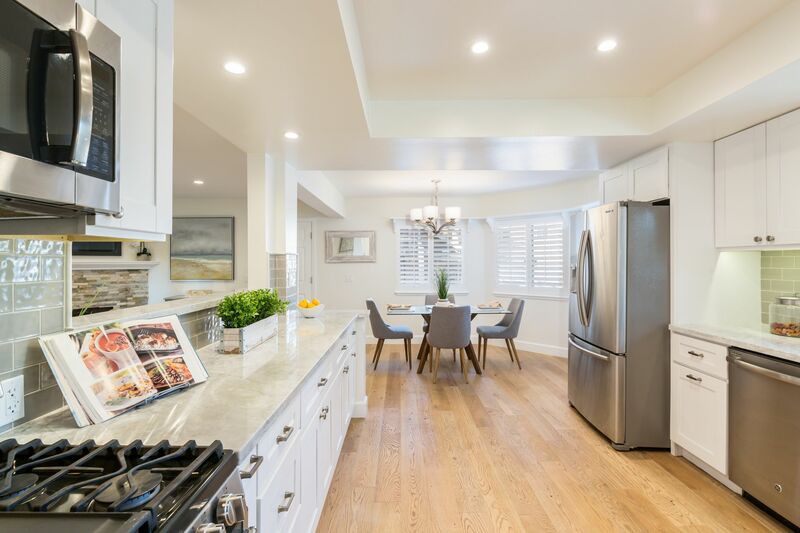 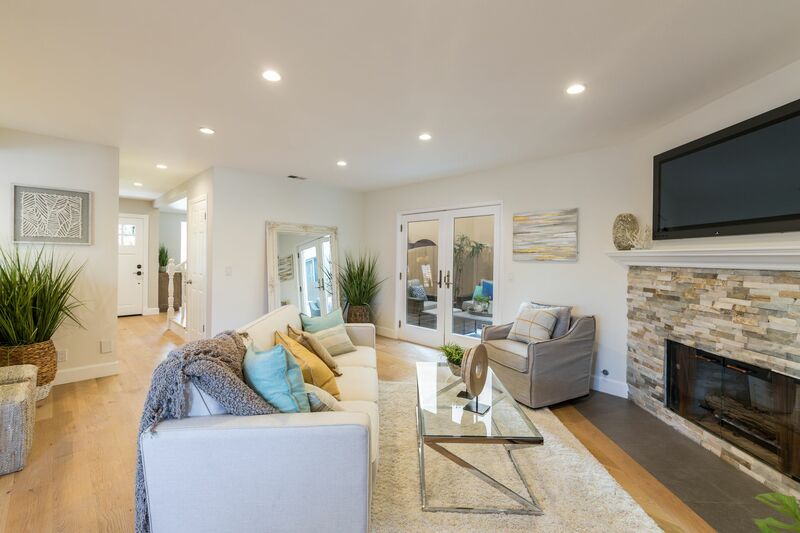 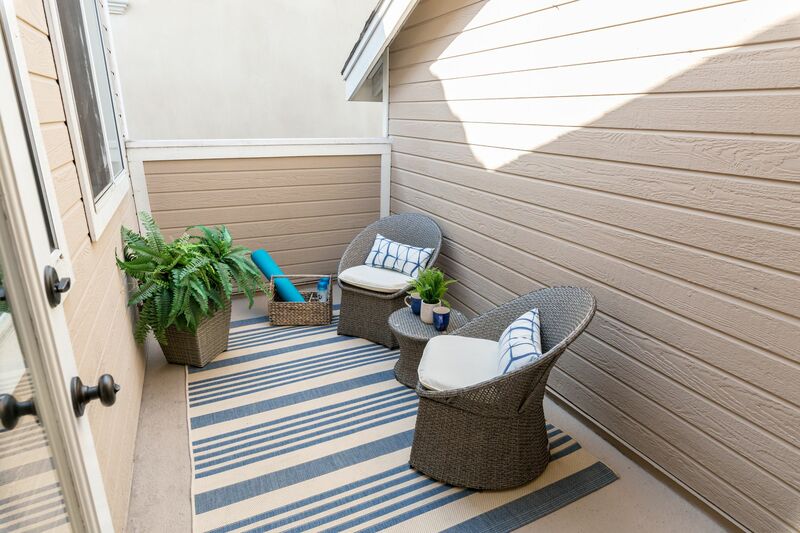 Tucked away on a dead-end low-traffic street in the heart of N. Redondo Beach & just steps to Manhattan Beach is this stunningly remodeled, over 2400 sq/ft, 4 bedroom + office, 2.5 bathroom front unit condo that feels like a townhome situated on a 2-on-a-lot with NO HOA dues and sharing only 1 common wall. 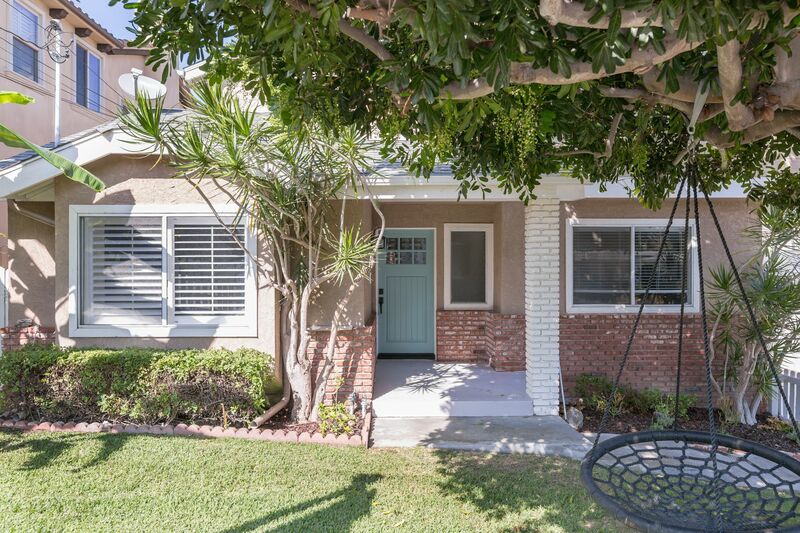 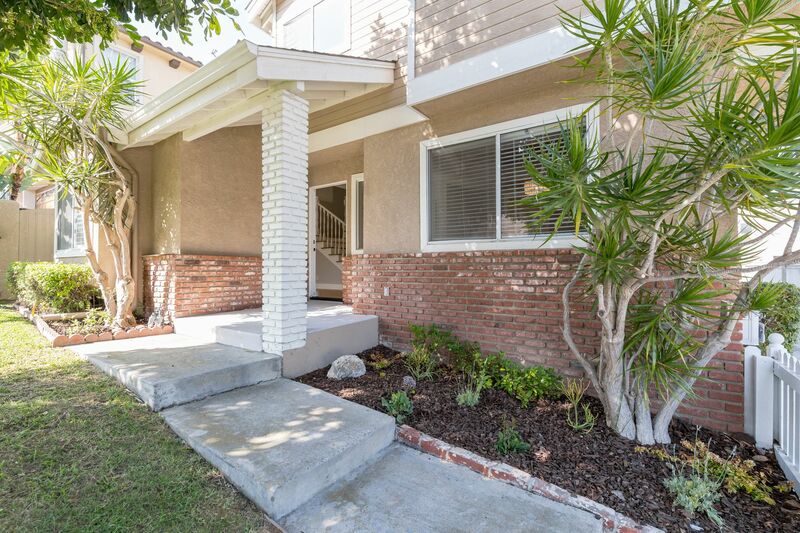 This isn't just an ideal home for commuters, it’s also close to several neighboring South Bay beaches, parks, restaurants, shopping & freeways. 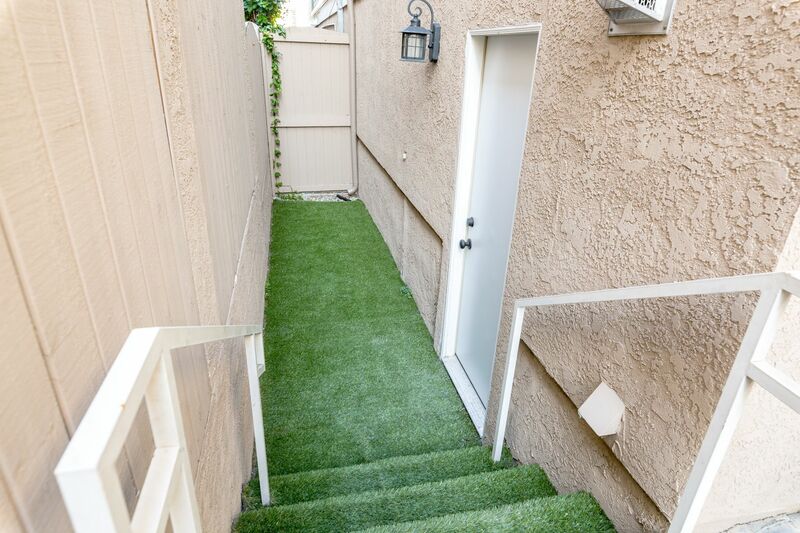 Feel like playing in a yard or letting the kids or dog out? 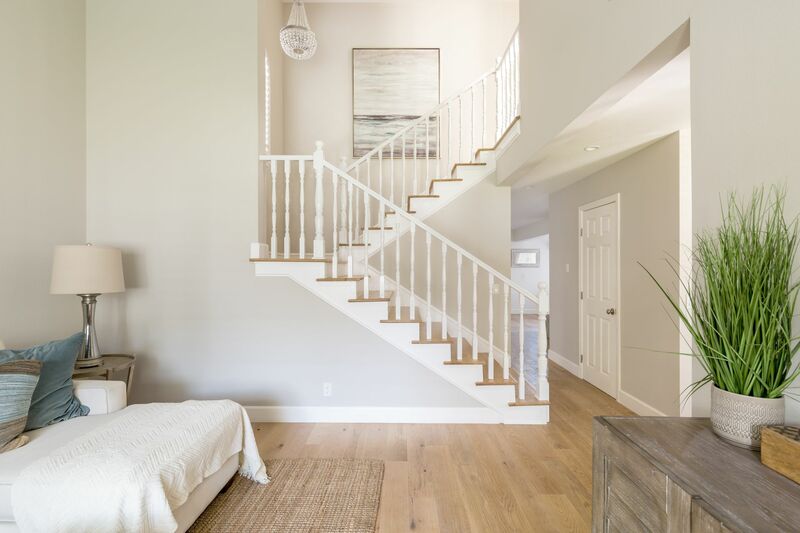 Steps out the front door is your very own privately gated grassy front yard - perfect to play, swing, or pick your own plantains that grow right there on the property. 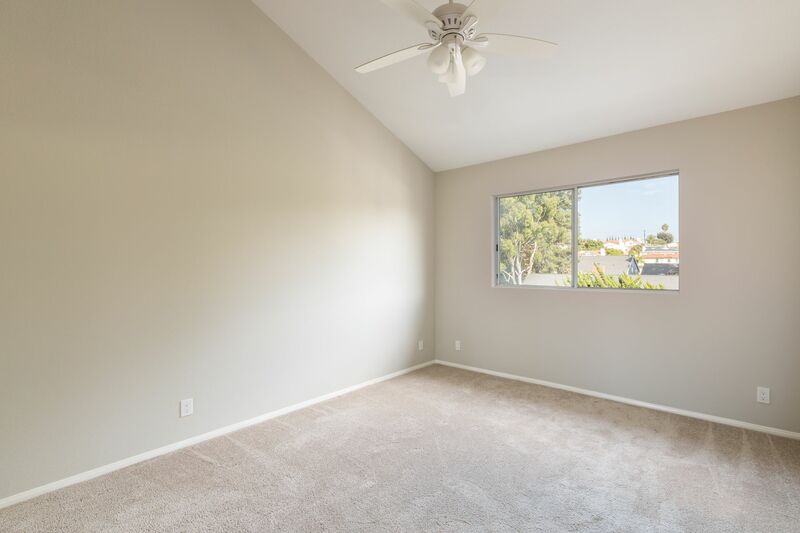 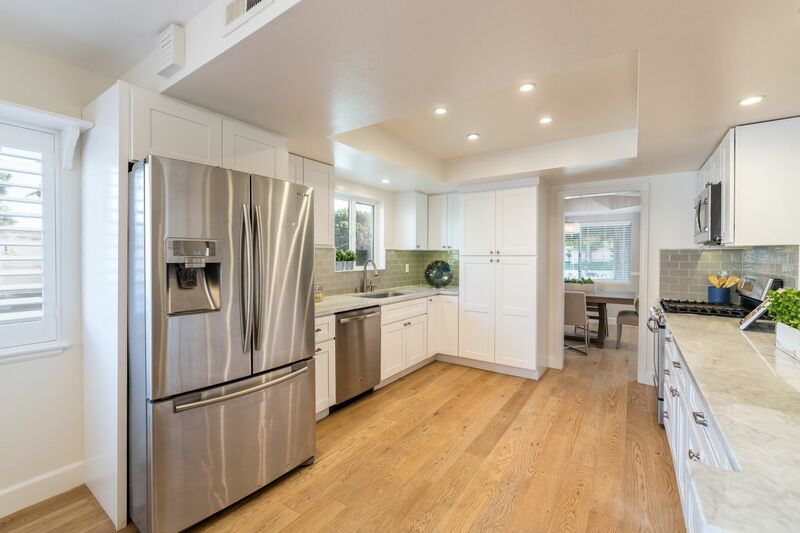 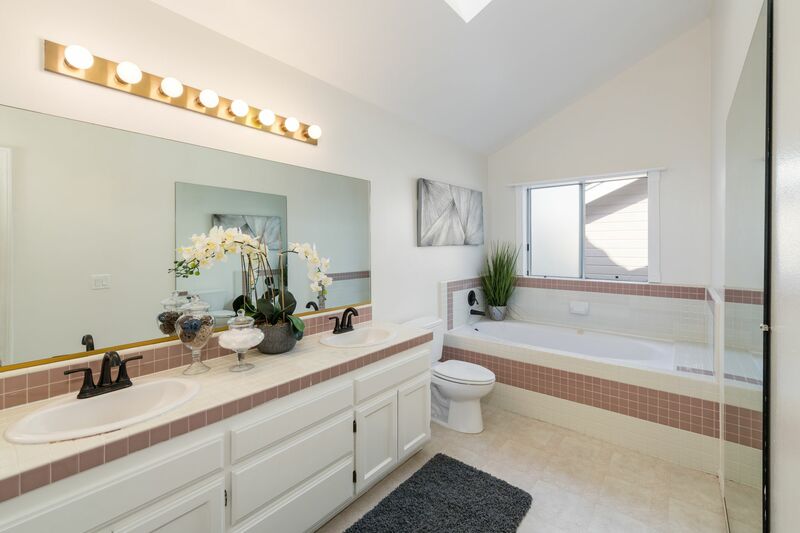 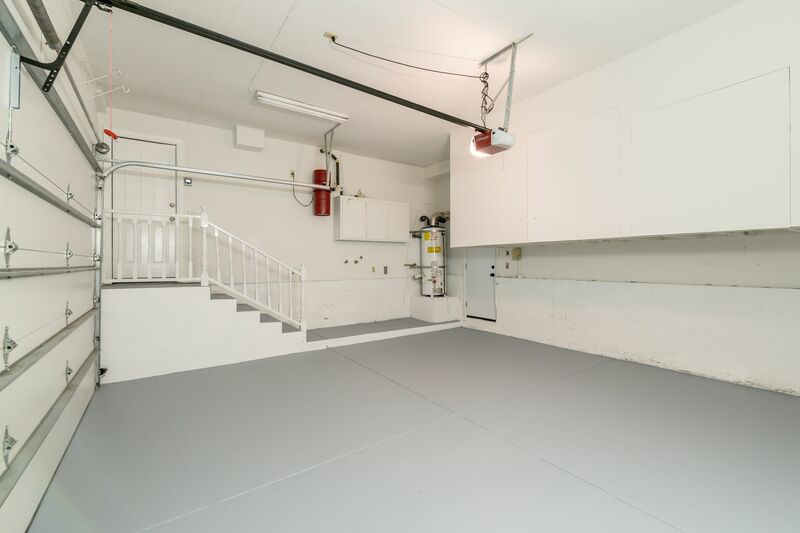 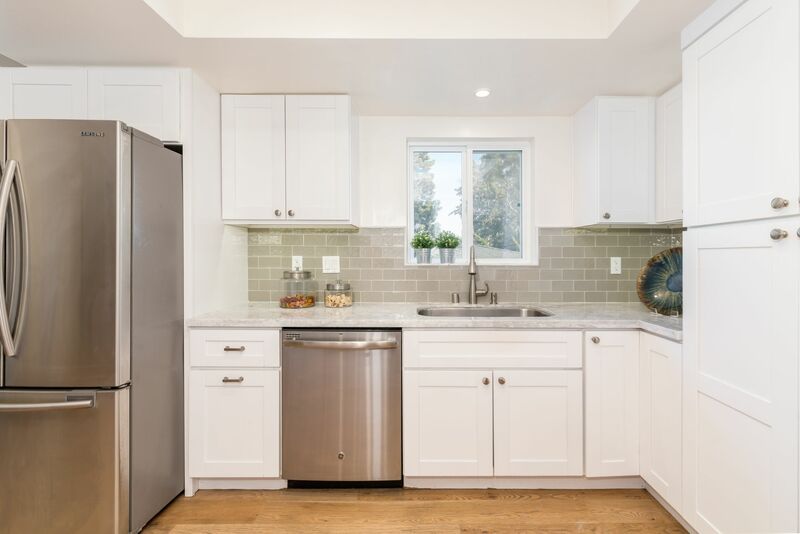 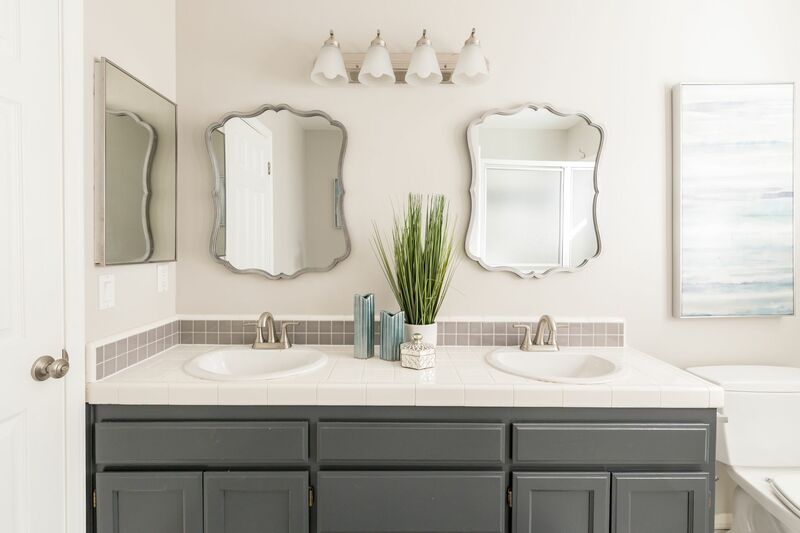 On the lower level you will find gorgeous hardwood floors throughout, vaulted ceilings, 2 dining areas, a fully remodeled 1/2 bathroom & a stunning bright and open remodeled kitchen with stainless steel appliances & marble countertops. 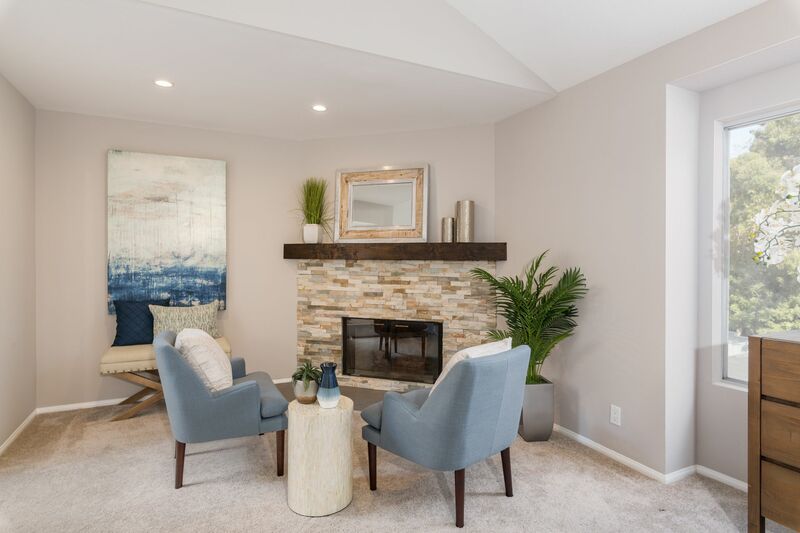 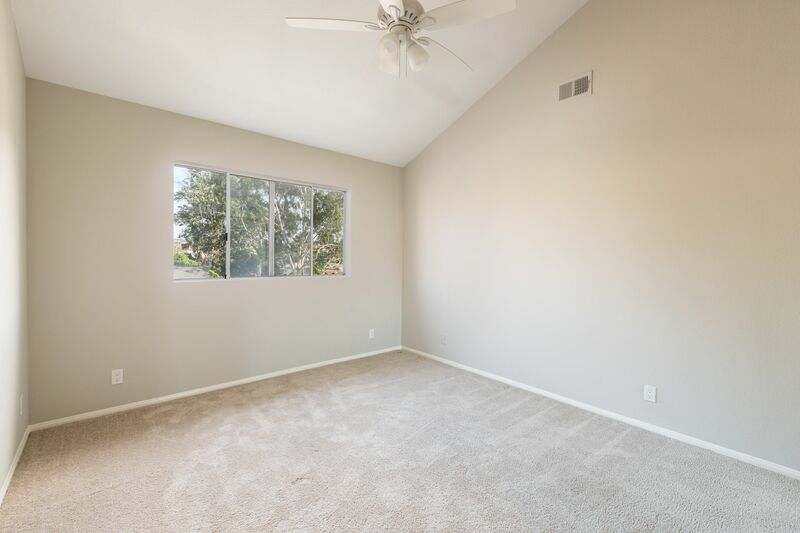 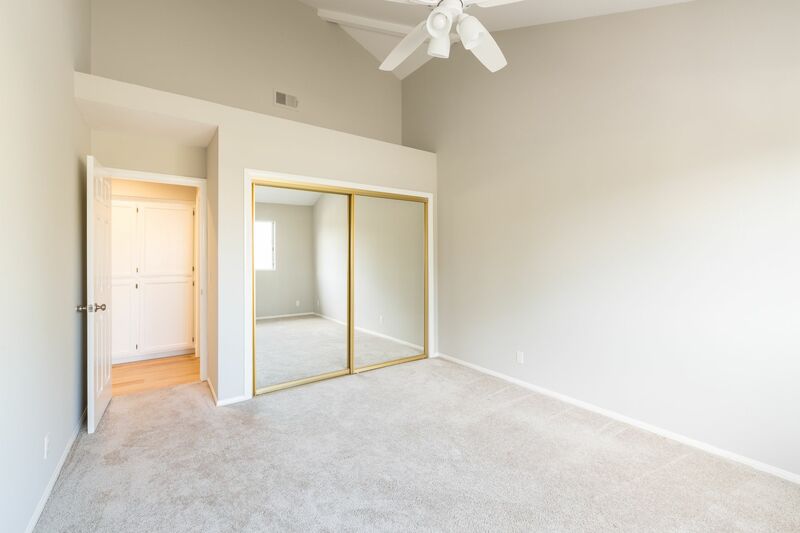 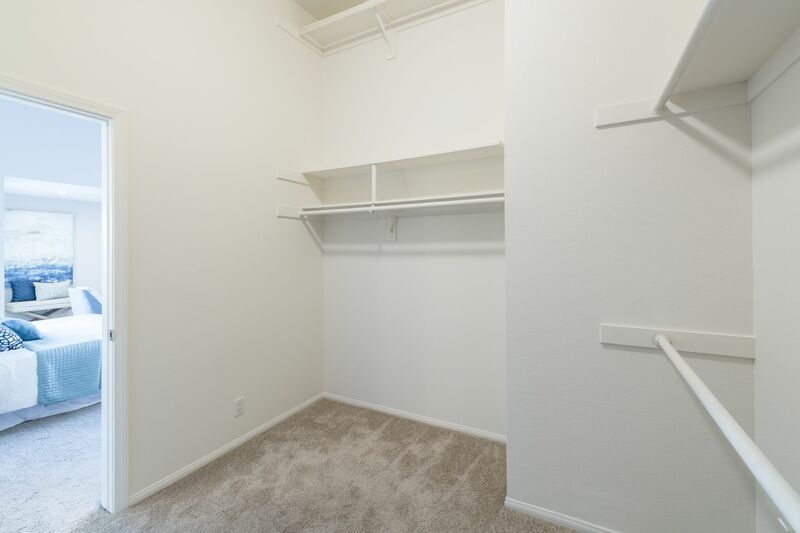 Next to the the kitchen is the cozy living room complete with fireplace & french doors leading you to your privately gated side yard with astro-turf leading you down to the attached 2 car garage. 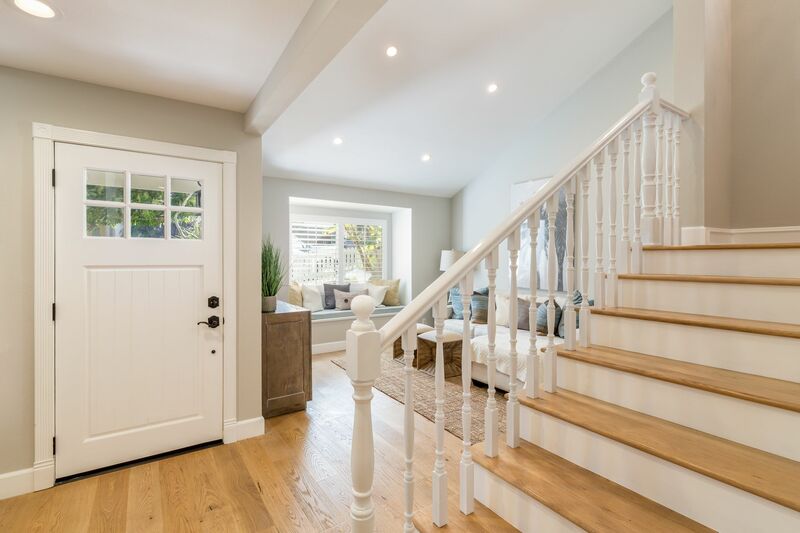 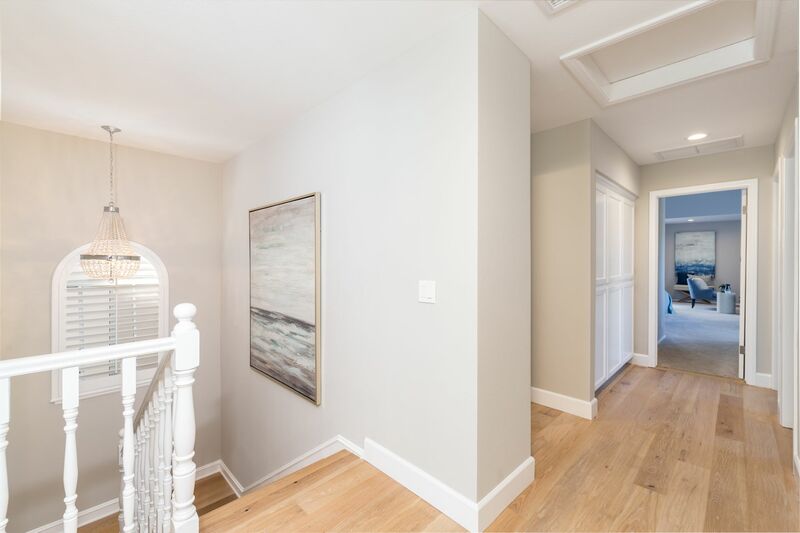 Cascading up the beautiful new hardwood floor staircase to the freshly painted upper level & down the hall are 4 large carpeted bedrooms, several with vaulted ceilings, an office & 2 large bathrooms. 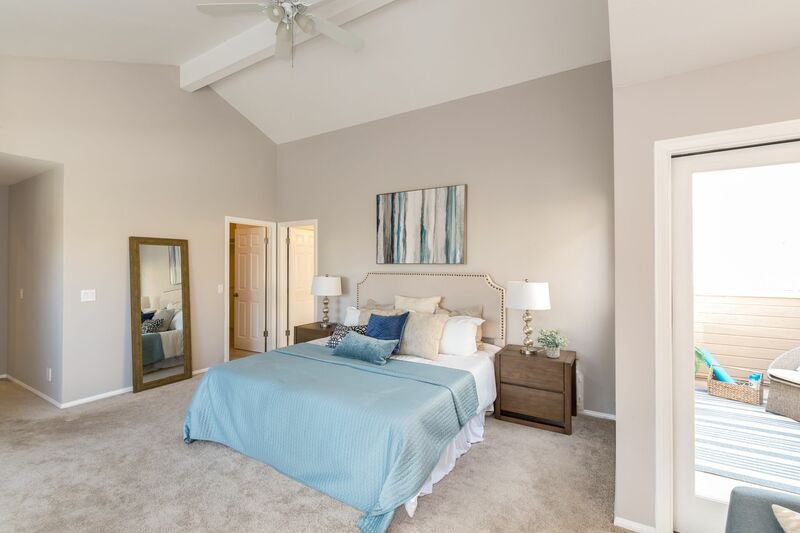 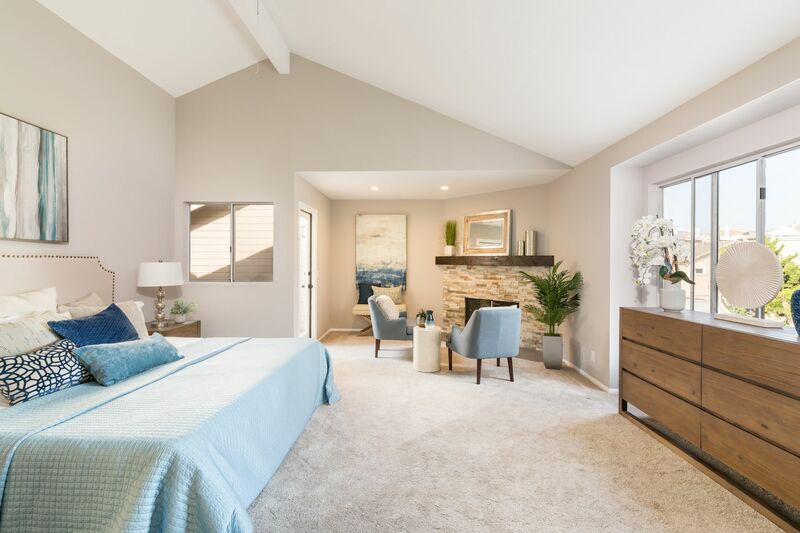 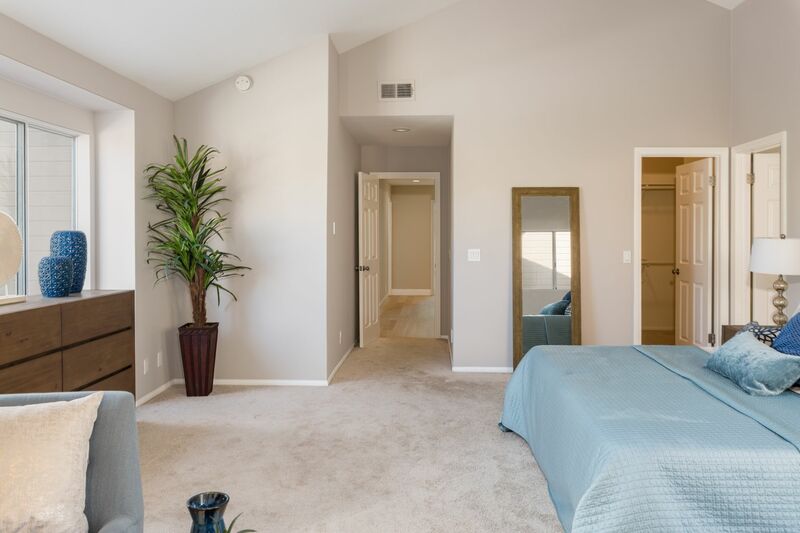 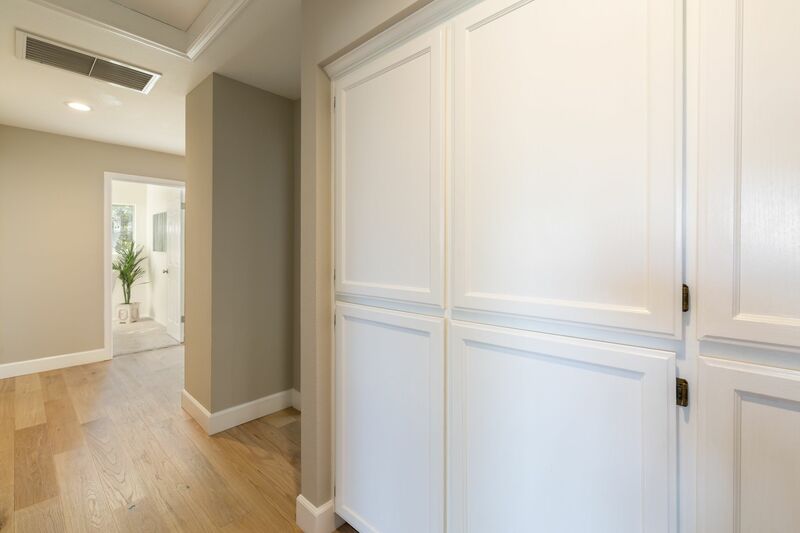 The master bedroom features over 16 foot ceilings, fireplace, massive walk-in closet & private patio. 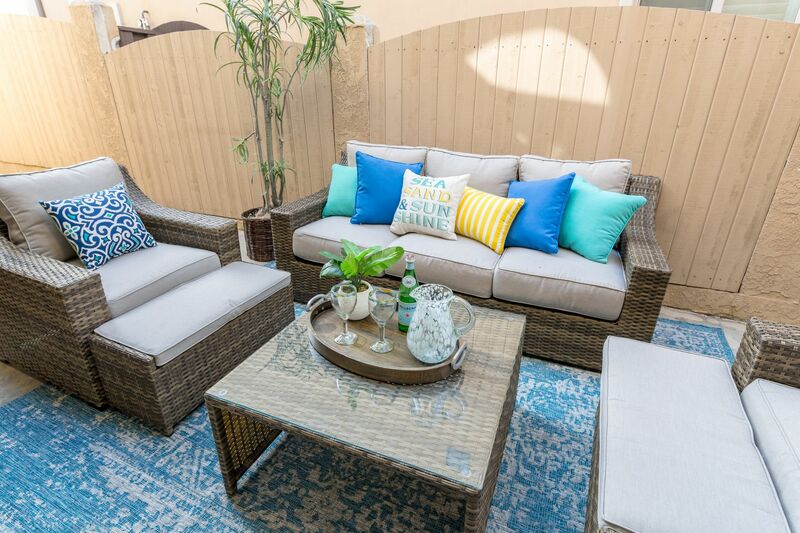 HURRY, THIS WON’T LAST LONG!